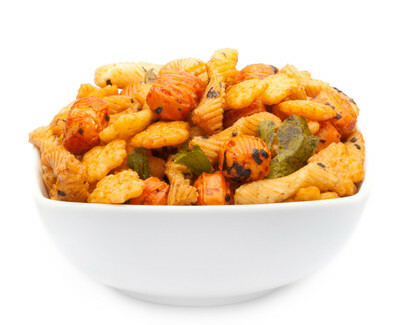 SPICY THAI MIX - Spectacular Snack Mix in sensational shapes and tropical spices. A blend of fine flavours of Japanese Rice Crackers. Rice, SOY SAUCE, sugar, WHEAT, salt, mod. Tapioca starch, garlic, onion, kaffir lime leaves, glucose, chili, mirin, seaweed, coloring: E160c, E150a, E160b. May contain traces of SESAME, SHELLFISH, FISH, PEANUTS, NUTS, MILK and dairy products. Just as colourful as the Thailand vegetation is our exotic SPICY THAI MIX. The colours of the small Japanese Rice Crackers awake instantly in your mind a fancy trip to the tropics. The beautiful shaped portions are a permanent recall of the diverse cultures that come together in Thailand. Each piece in itself is a small culinary artwork - decorative and tropical breathed.Unique contrasting, intriguing flavour. 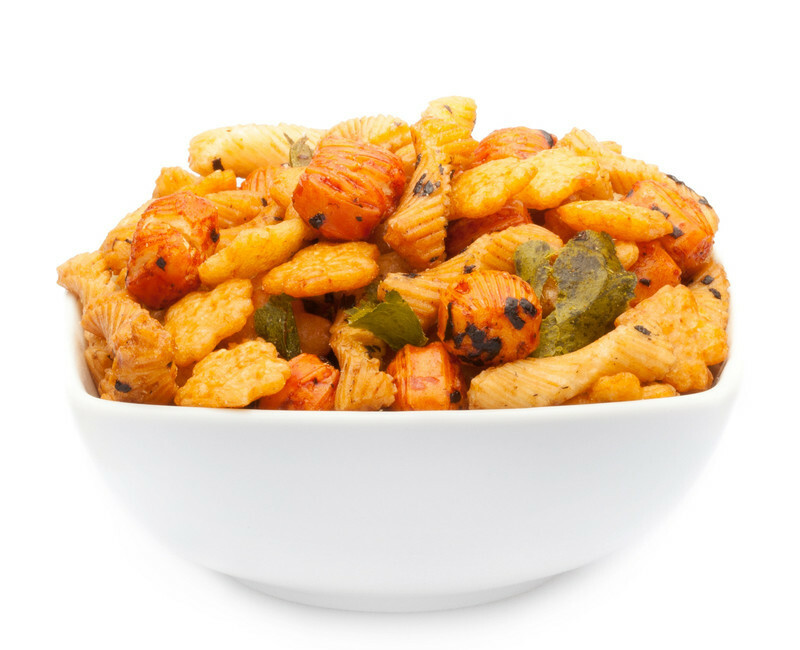 In this nuts mix only, we have selected in the spotlight ingredients and exotic spices. The result is a creative one-exotic blend of the finest Japanese Rice Crackers and most popular spices of Thailand, who everyone loves excited, the Thai food culture and values. The aromatic scent of lemongrass, with a hint of rose fragrance, matchless in combination with lime leaves and a little garlic.A skillfully rounded rice cracker snack. Refined is the Spicy Thai MIX with seaweed powder to have a positive effect on the organism. In every respectable healthy snacking you should enjoy and feel good.Well food in Asian style. Wellness for the senses with crispy rice crackers with the special flavour kick. For the eyes, the nose and the mouth this is a real treat. All the senses are stimulated here. Tropical flavour that will take you softly under its spell and seduces you all along the line, in a world full of flavours.This snack can quite confidently stand on its own, when the flavours slowly unfold in the mouth to be enjoyed intensely.